With the thorough knowledge of the varied aspects of the market, we have been able to provide the customers with a commendable assortment of Roller Magnetic Separator. Developed as per the global quality standards, the range is widely demanded in diverse industrial applications for removing ferrous & other magnetic parts from varied other substances. Extensively installed above conveyor belts & vibratory feeders, the range is acknowledged for robustness, high efficiency, optimum performance and durability. 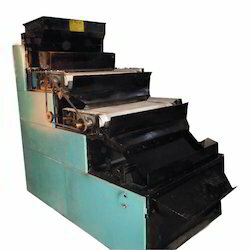 Magnetic Roller Separator offered to provide effective support for removing ferrous contaminants from a wide range of free-flowing bulk/granular materials. 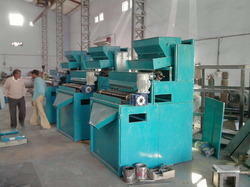 Our organization offers superior quality High-Intensity Roll Magnetic Separator. The magnetic separators offered by us are widely used by foundries, domestic waste recycling plants, glass plant, silica sand, food, mineral mines, food industries. 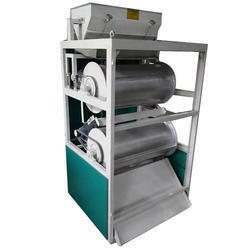 Looking for Roller Magnetic Separator ?